The Diocese of Polynesia has been active in providing welfare services to the Church and wider community for many years. To provide a listening ear, a warm heart and a helping hand to those in need. 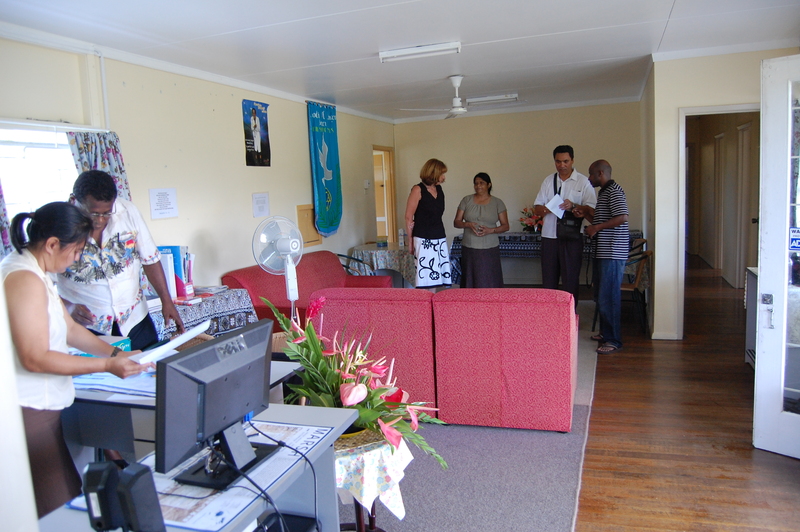 The House of Sarah, Suva, is a project of the Association of Anglican Women (AAW) and started in 2009. It is also responsible for the water projects of the AAW. Weekly Bible studies are carried out at the House, as this is an important outreach activity of the AAW and the Diocese. In 2011 it started providing counseling services. The House of Sarah was recently awarded a $30,000 grant from the United Nations to assist in the continuation of the courses throughout Fiji. This is a wonderful endorsement of the work the House of Sarah is carrying out. In 2012 funds pledged by the AMB of $15,000 will assist with the costs associated with these counseling services.